Did someone say PANCAKES? Yum! Get a short stack of Buttermilk Pancakes (3 pancakes) from IHOP for just $.60 from 7am to 7pm, Tuesday, July 17th! 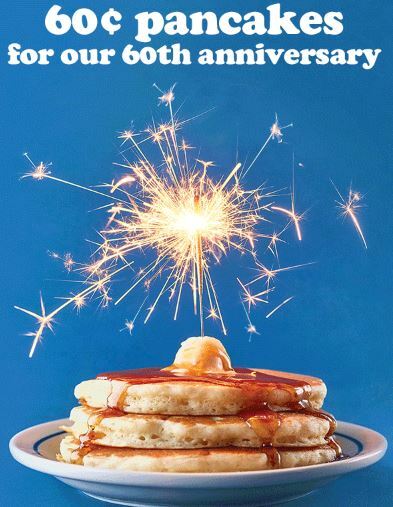 It’s Ihop’s 60th anniversary so celebrate with a discount on pancakes! Limit one per guest. 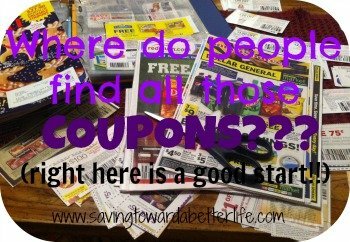 Not valid with other coupons. Dine in only. Details or find a location here. Signing up for restaurant clubs is a great way to save on dining out! Share IHOP with a friend – order your IHOP gift cards here. Want to know about more upcoming FREE pancake days at IHOP and tons more freebies, savings and great deals? Sign up for the Saving Toward A Better Life Newsletter HERE! Or follow me on Facebook, Twitter or Instagram for daily updates!